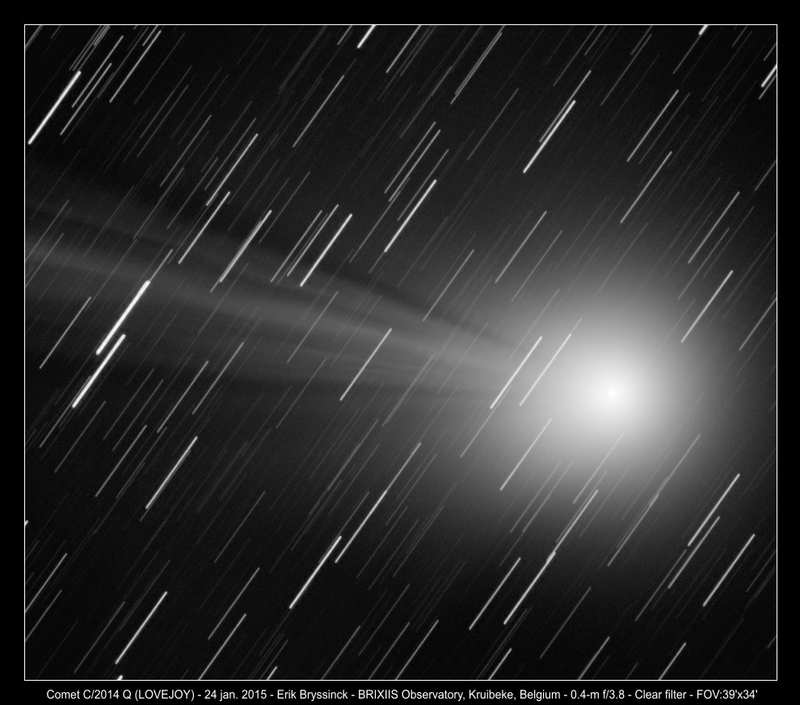 Observations of comet C/2014 Q2 (LOVEJOY) of jan 21st Possible minor outburst on 20 or January 21 as a small jump in Af(rho) number was determined. On 19 january, the Af(rho) value (according to CARA approach) was about 4950 cm while last night (24 jan.) Af (rho) value was approximately 5800 cm. The off (rho) today number is then slightly decreased to about 5200 cm. Unfortunately, there is no data for 20 and January 21st. An analysis of the Af(rho) value since early November briefly wor ked, we hope to finish by the end of next week.